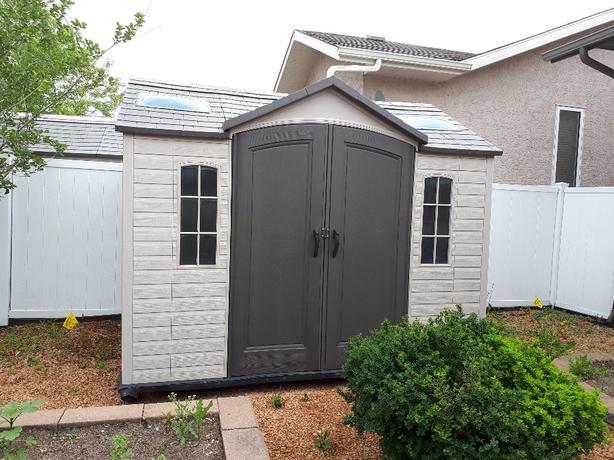 Garden Shed for sale. Measures 8 ft. X 10 ft. With an attached floor. Must be dismantled. It is in good condition- just too big for my yard.